Round Tanks | Modutank Inc.
Modular Quickstor and Modustor round tanks offer unique solutions for short-term and permanent storage. 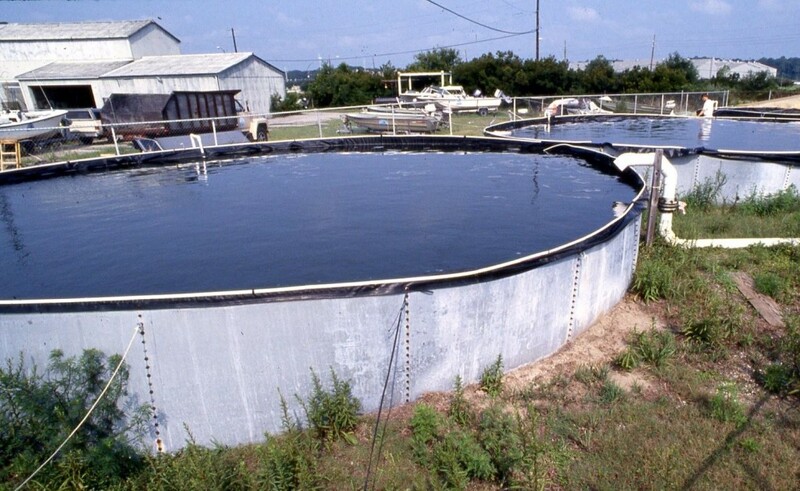 Modustor round tanks are the ideal answer for most water storage and liquid containment needs. They are designed for installation on any firm, level ground, compacted earth, macadam or concrete surface. Our unique footing plate system anchors tanks while eliminating in the ground footings and guy wires, a preferred method where concrete footings and ground penetrations are undesirable. Modustor tanks can also be permanently anchor bolted to concrete ring foundations. Our round Modustor tanks are composed of factory fabricated modular steel components designed for rapid bolt-together assembly by workers using hand tools while following an illustrated manual. They are available in diameters from 12’ to more than 100’ with heights to 30’ and capacities exceeding 1,000,000 gallons. 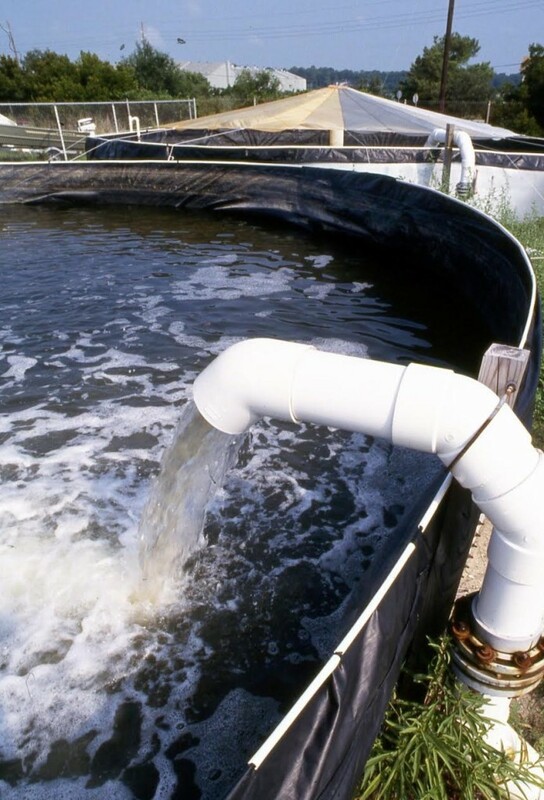 A large selection of heavy, reinforced and chemically compatible liner materials, as well as a double liner leak detection system, is available for most commonly handled liquids. A full range of thru-the-wall fittings, floating and solid covers, ladders, vents and other ancillaries are readily available. 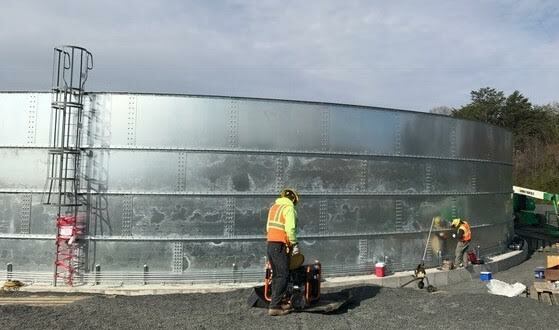 One tier Quickstor round tanks are designed for temporary low-volume storage between 2,200 and 32,000 gallons capacity. Easily transported on a pickup truck to remote areas, its hand carried flat, modular steel panels are quickly bolted-together for installation on unprepared sites. The 4’ high steel wall can be left free-standing or anchored to soil with built-in stakes. Over-the-wall is the usual loading and unloading method for Quickstors. However, inlet and outlet piping can be attached to thru-the–wall flange fittings or bottom flanges. Although primarily for temporary use, the Quickstor is constructed from heavy– duty mill galvanized steel panels and fitted with industrial grade liners for long term life. They are easily disassembled, transported and stored in a garage for future use.